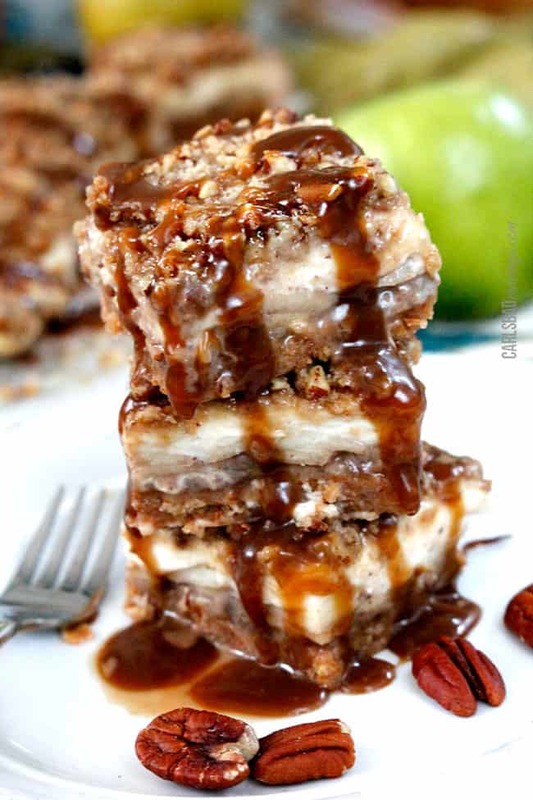 Caramel Apple Cheesecake Bars boasting 7 layers of candy apple deliciousness! These Caramel Apple Cheesecake Bars will make you the HERO of the holidays! 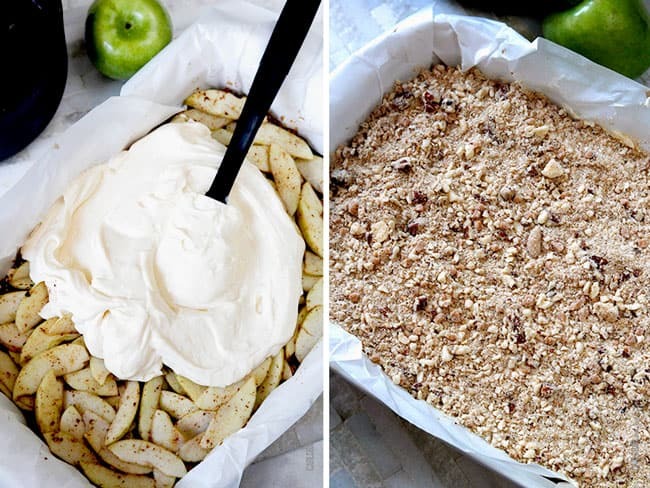 They are the best apple bars/pie/cheesecake anything – ever! 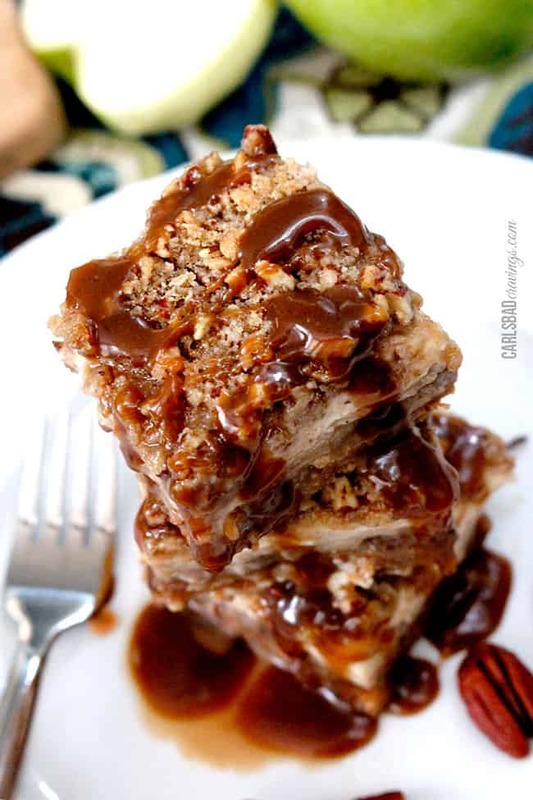 They are like caramel apple cheesecake bars on steroids (but legal of course) – bigger, better and more intoxicatingly delicious! And how could they not be with 7 layers of heaven? That’s a lot of ethereal deliciousness to share followed by a lot of ethereal smiles. Don’t you just love spreading foodie cheer?! 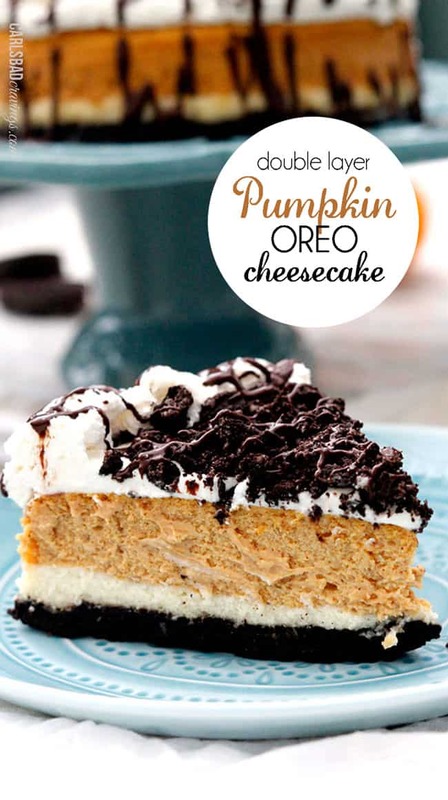 Remember when I said you would be the talk of Thanksgiving with my Double Layer Pumpkin Oreo Cheesecake? 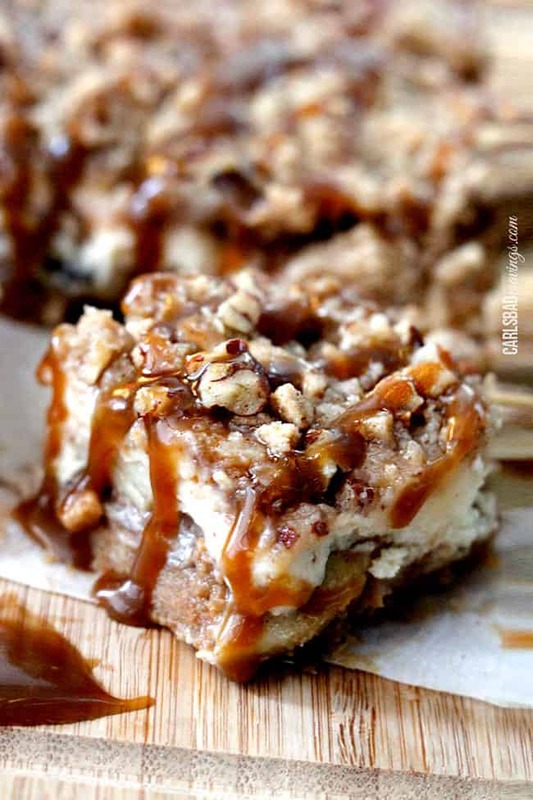 Well these 7 Layer Candy Apple Cheesecake Bars will also do the trick. So last Thanksgiving I was wishing I had more foodie cheer to share. I often can’t celebrate Thanksgiving with my family because if someone has a cold, I stay clear because I am immuno-suppressed (due to both my kidney transplant and double lung transplant) and if I catch a cold, the chance of rejection exponentially rises, and I eventually end up in the hospital because the cold turns into a bacterial infection which turns into pneumonia (like here when I am posting my Chili Lime Nacho Mozzarella Sticks from my hospital room). So last year, I was able to celebrate Thanksgiving with healthy friends and brought a caramel apple pie which would have been completely devoured if I hadn’t also brought a Butterscotch Pound Cake. The next day, the local adults in my family (my parents and sister and her husband) celebrated Thanksgiving without any sick kids and I brought the remains of the caramel apple pie. We all longed for more. More foodie cheer. So this year, I wanted to create a dessert perfect for Thanksgiving and Christmas that you can prepare the day before – that actually gets better overnight – and creates an abundance of cheer to go around. Thus the birth of 7 Layer Candy Apple Cheesecake Bars. That’s a long intro but all you really need to know is that you should make these Caramel Apple Cheesecake Bars. Period. But if you need any more reasons, its in the Candy Apple 7 layers. Layer 1: Butterscotch Crust made by mixing flour, butterscotch pudding mix, butter, brown sugar, egg, cinnamon and vanilla. 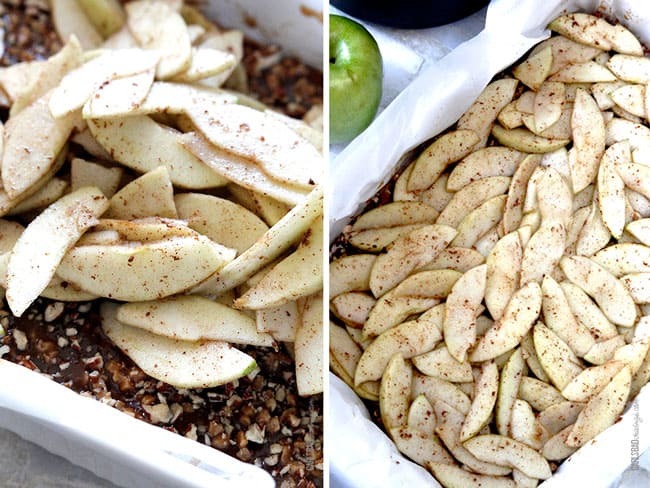 You need to make this just so you can taste how delicious a crust can be. 3. Layer 3: Chopped Pecans and Toffee Bits. 6. Layer 6: Layer 6 of Toffee Pecan & Oat Streusel. 7. The Candy Apple Cheesecake Bars are then baked and drizzled with Layer 7: more Easy Creamy Caramel. 7 Layers of Candy Apple Cheesecake heaven begging to be shared with those you love. And your stomach of course. Looking for more Cheesecake Recipes? Caramel Apple Cheesecake Bars boasting 7 layers of candy apple deliciousness! These Caramel Apple Cheesecake Bars will make you the HERO of the holidays! They are the best apple bars/pie/cheesecake anything - ever! Caramel: Prepare Easy Creamy Caramel Sauce according to directions, boiling for the full 5 minutes. Set aside. Crust: Line a 9x13 baking pan with parchment paper all the way up the sides and lightly spray with nonstick cooking spray. In a medium bowl, mix together crust ingredients (flour through cinnamon). Press into the prepared pan and bake 15-18 minutes or until lightly browned then cool crust (you can place in the refrigerator). 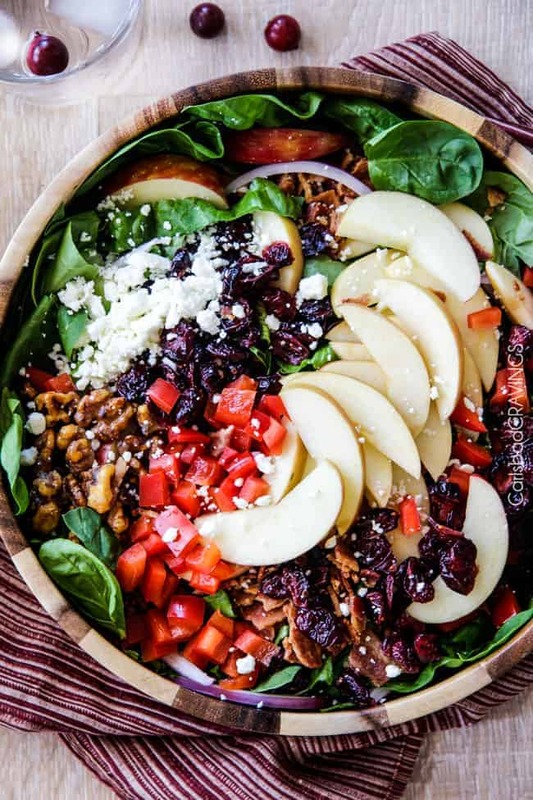 Apples: While the crust is baking and cooling, add all of the Apple Layer ingredients to a large bowl and toss to evenly combine. Set aside. 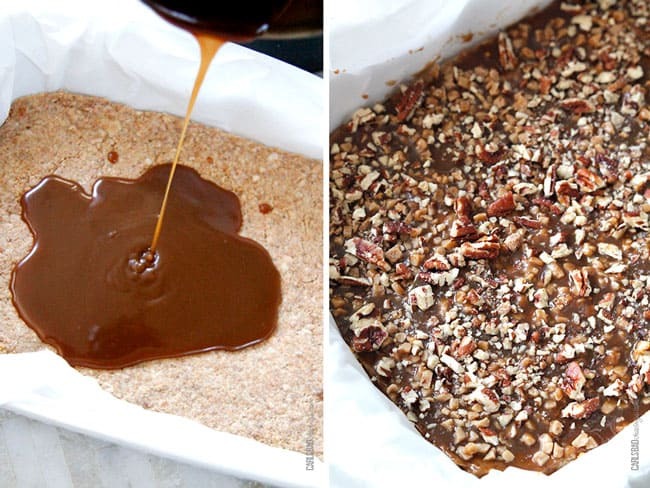 Toffee and Pecans: Top cooled crust with 1 cup prepared caramel sauce then sprinkle with 1/3 cup toffee bits and 1/2 cup chopped pecans. Refrigerate remaining caramel. Evenly layer apple slices over caramel/toffee/pecan layer. Cheesecake: Beat cream cheese and 1/2 cup sugar on medium speed for 3-5 minutes until light and fluffy. Beat in egg until incorporated, then add sour cream, lemon juice and vanilla and mix until well incorporated. Pour over apple layer and spread evenly. 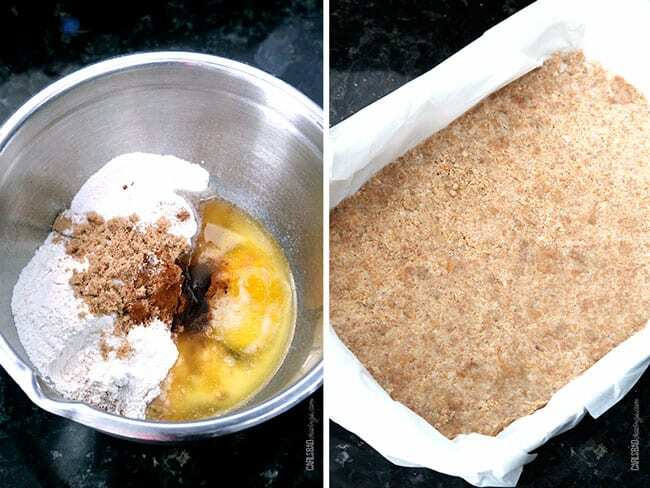 Streusel: In a medium bowl, mix together flour, brown sugar and oats. Cut in butter until crumbly. Stir in pecans and toffee bits. Sprinkle over cheesecake layer. To cut, easily remove the cheesecake bars from the pan by lifting out the parchment paper. 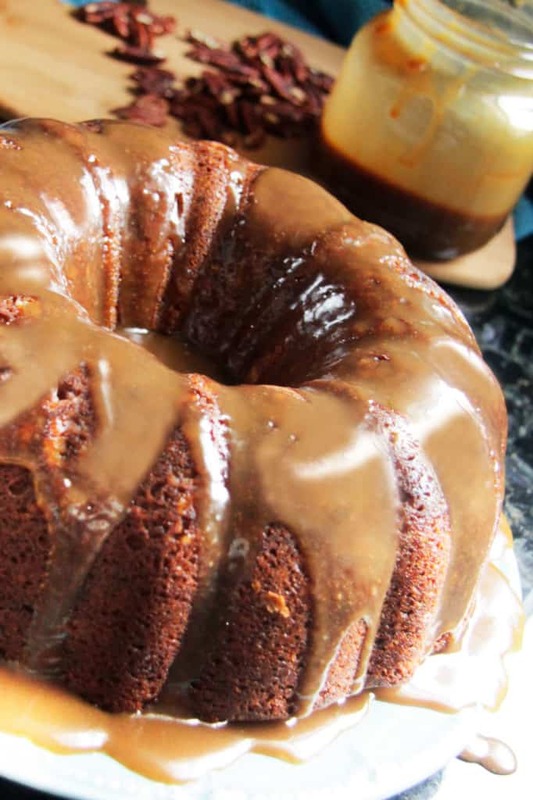 *You might want to steal a bite first to decide how much caramel/extra sweetness to drizzle, if at all. Want to try this Caramel Apple Cheesecake Recipe? 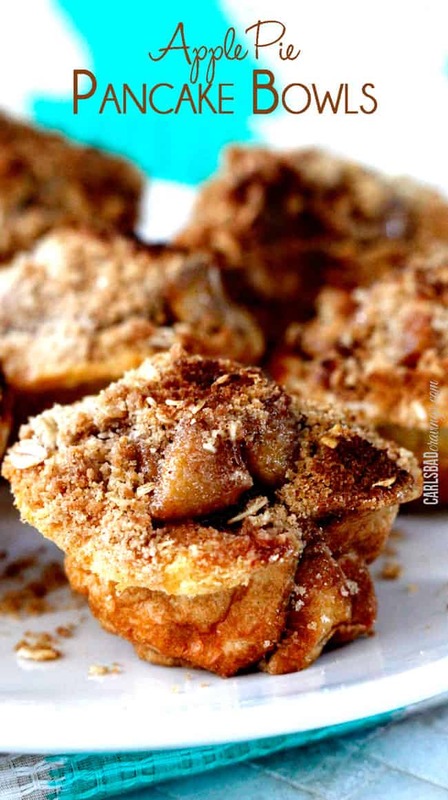 Pin it to your CARAMEL, CHEESECAKE or DESSERT BOARD to SAVE for later! Wow, I can see why this would be a popular dessert. I love everything about this. WOWZERS Jen!! You sure know how to make a girl forget about dieting LOL This is absolutely fabulous!! OMG look AMAZING! But sooo many steps! Still what a fabulous dessert! Some times AMAZING requires a few extra steps 🙂 They are so worth it! Oh good God, Jen! These look unbelievable! Pinned! Thanks so much Justine, they taste pretty unbelievable :)! ok, now those skinny jeans REALLY aren’t going to fit. Curses. But really, they never fit that well to begin with, and something as decadent and “holiday cheer”full as these bars are probably worth wearing fat pants. Can I just move in? I am pretty much never sick. Oh man, this looks SO good!! 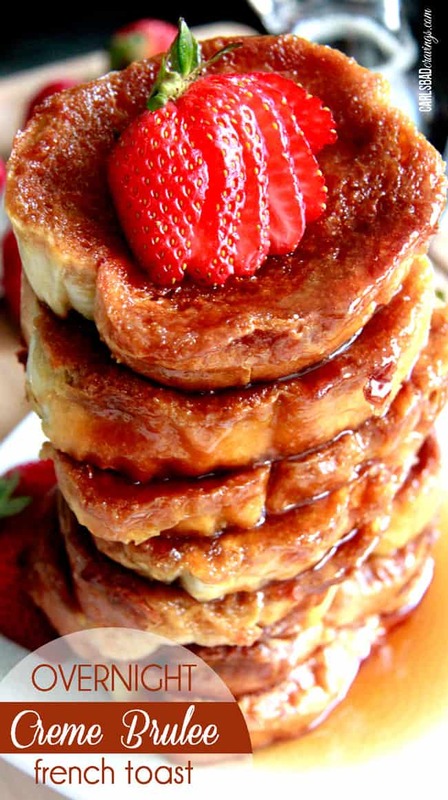 Love all those ridiculously delicious layers of yumminess. Pinned!!! These look delicious. A great addition to any holiday table! Thank you Renee! And yes indeed, they are perfect for the holidays! I made these for our Sunday tea party and absolutely loved them. Amazing flavor combinations! My only concern for future is how can I cut them without the streusel layer falling apart? I baked it for 35 to 40 mins. Also my caramel didn’t turn out to be beautiful dark brown like yours, it was very light. Thank you so much for a keeper recipe. Have told my mom and she is gonna try it too. Also made your philly cheese steak pizza, will comment on that link. This dessert was absolutely amazing! I made it for Thanksgiving and it was a huge hit. For anyone contemplating making this recipe, I would highly recommend it! Especially if you like apple pie or cheesecake! YAY! so happy everyone loved it Liz! Thanks for your recommendation! This looks sooo good! I will be making this for the company Christmas party this week. Awesome April! I hope you and everyone loves them! Merry Christmas! This looks amazing! I would like to try it for Thanksgiving. Can I make this the day before? Yes you can definitely make it the day before! Perfect for Thanksgiving! Enjoy! Your photos definitely have us eating with our eyes First!!!! I’ve been waiting for a special occasion to make this and tonight was it! The occasion was “JUST CAUSE” i couldn’t wait any longer 🙂 Once again you have hit it out of the park! THis was SOOOOO good! A little time consuming being the first time making it but was so worth it! Plus I had the time because I also made your Best slow cooker French Dip sandwiches! That crock pot meal gave me time to make a yummy fancy dessert. THis is a MUST try Dessert!!!! Hi Jen! What can I substitute with the pudding mix? Here in the Philippines pudding mixture is hard to find. Thanks in advance. Hi Ellen, my best guess is adding 1/4 cup sugar and 1 tablespoon flour or you can try googling DIY pudding mix and using the equivalent of 3/4 oz. pkg. You won’t get the butterscotch effect but it will still be Delicious!